Little short of an earthquake will wake me at night, I have no trouble getting off to sleep. So imagine the shock when, six years ago today, I was indeed woken by an earthquake. 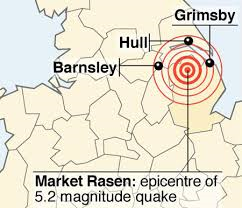 We were living in Beverley at the time, the epicentre was Market Rasen some 32 miles away as the crow flies. Like many others I’m sure, I turned on my BBC local station to hear what they were saying. On Radio Humberside Steve Redgrave had extended his show rather than hand over to 5 Live. Here’s a little of what I heard. I could have listened to updates on Five Live or talkSPORT, or switched on rolling news coverage on television, or even gone to bed and forgotten about it all, but I chose to listen to Radio Humberside because I wanted to hear how the quake was affecting people close to home: Grimsby, Scunthorpe and Goole. ‘If you know of anyone on your street who is alone and might be scared, please do the neighbourly thing-knock on their door, make sure they’re okay. Check that your own family are okay,’ Redgrave tells us. I decide not to phone my mum and dad though. Sleeping through an earthquake only to be woken by a phone call is the kind of irony that happens regularly in our home. This extract from Radio Head is read by Lee Ingleby. Last year BBC Radio Lincolnshire’s William Wright recalled the events of that night and spoke to local resident and broadcaster Tom Edwards. 15 March 1964 was an important day in my life as it was the start of a (ridiculous?) obsession with radio announcers. This joined my other obsessions: cricket, railways and buses. Numbers and shapes of the innings scores started my lifelong love of cricket. I did an entire County Championship with HOWZAT dice. Train numbers again fascinated me although, living in Canterbury, I had to put up with the numbers on the end of boring electric multiple units. My interest in buses was even odder. I kept a note of the three main adverts on each bus in the beautifully painted East Kent fleet. In case you are worried about the strangeness of my interests, I spent a great deal of time in the open air, cycling or playing cricket. Enough of telling you how odd I was! Sometime in 1963/4, the BBC decided to revert to wartime practices and the newsreaders and announcers stopped being anonymous. There was an article in the Radio Times with a few pictures of staff which took my interest. (Memories of so long ago can obviously be flawed and this article has not been discovered so I wonder if it was in one of the newspapers - Sunday Telegraph?) So I decided to keep a record. To begin with, this was simply the Home Service. There was only one radio in the house - one of those old valve ones which took an age to warm up. Our family breakfast was always accompanied by the Home Service. I shall state my memories as facts but will happily be corrected. Before the start each day, we would hear an extract from Handel's Water Music. Then the announcer would welcome us, irritatingly not always giving his/her name. This was followed by the Farm Bulletin, normally read by the duty newsreader. On an odd occasion, I was caught out by someone reading this who, I assumed, was the newsreader, only to discover someone else on the 7o'clock. Perhaps it was recorded the night before although that seems highly unlikely. After Thought for the Day came the Weather Forecast region by region read by the duty continuity announcer; then Programme News. (None of these appalling trails we have to put up with nowadays). Then came the News, followed in my area by the South East news which was read by the continuity announcer in London. so that was a chance to pick up a new name or someone I did not recognise. After that, the Today programme and a repeated pattern. Because of my obsession with numbers, I gave all the announcers numbers as well. So my records are all numerical. Number 1 on the list, Peter Barker. On 15 March 1964, the newsreader was Peter Barker and the continuity announcer John Roberts, so in my book was put 1 & 2. I obviously then thought of a few other names and allocated numbers as on Monday 16 March 1964 we have 5 & 20. I looked for patterns. For example, Alvar Lidell was on most Friday mornings as a newsreader; Frank Phillips usually on a Monday and Saturday morning, quite often as the continuity announcer on a Monday morning with Ronald Fletcher as the newsreader. Robin Holmes was the regular Tuesday a.m. newsreader. Roy Williams was the normal Sunday morning continuity announcer. I shall always associate him with Lostwithiel as Sunday mornings had a ring of bells at the start of the day and he would come in telling us where the bells were from, but there was a lot of variety which made it interesting to me. Bruce Wyndham, for example, although mostly based on the Light Programme, had about a month each year from 1964 to 1967 when he did newsreader duties on the Home Service. Tim Gudgin's appearances were very rare but he read the news twice in the week commencing 5 April 1964. I suppose the event of most interest in 1964, apart from my being given a transistor radio for my birthday!, was the retirement of Frank Phillips with his last appearance on 24 October 1964 reading the news on the Saturday morning. In fact, by no means was this his last appearance as he popped up from time to time. Whether by design or coincidence, he was on duty overnight Saturday 23 January to Sunday 24 January 1965 and, as a result, announced the death of Sir Winston Churchill to the nation. In the following week, Thursday 28 January 1965, the duty announcer David Brown was clearly not in a fit state to read anything when he came on air at 0630. He was speedily replaced on continuity by the newsreader of the day Ronald Fletcher who was in turn replaced by Andrew Timothy - the only time he appeared in the morning in my records. I remember being excited to find out who was going to be the Christmas newsreader in 1964, assuming it would be the regular Friday man Alvar Lidell. But no, it was Peter Latham - his first early morning newsreading shift with John Hobday as the announcer. So I have pages and pages of numbers all the way from 1964 to 1977 and 1985 to 2006, these include the other main BBC Radio channels. Who were my favourite announcers? Alexander Moyes - who once went on giving us Programme News long after the pips had gone. In recent years, undoubtedly the late Rory Morrison. There’s a fascinating and over-looked aspect to the history of the BBC regarding the long-forgotten service Network Three. Meeting square-on the Corporation’s mission to “educate” it showed how executives battled to come to terms with commercial competition and the question of just how populist should the public service broadcaster become. It also provided a legacy of educational programmes that endured, in one guise or another, for the next four decades. Network Three was a mid-50s creation, an adjunct to the existing Third Programme, created some 11 years after the station was launched. When the Third Programme was at its planning stage in 1946 the terms of reference stated that it was designed “to be of artistic and cultural importance. The audience envisaged is one already aware of artistic experience and will include persons of taste, of intelligence, and of education; it is, therefore, selective not casual, and both attentive and critical”. What listeners got, in the evenings only as programmes didn’t start until 6 p.m., was a mix of music (classical and opera) for 52% of the time, drama (15%), talks (20%) and 13% devoted to features and poetry readings. It made a point of not having fixed schedule points, of offering programmes that appealed to minority audiences and of repeating plays and features “at least three times”. And listeners were expected to listen, to give their undivided attention. The point was made in the first programme, a comedy with Stephen Potter and Joyce Grenfell, called How to Listen. The Third Programme divided opinion between a fiercely loyal audience and those who saw it as expensive, overly highbrow and appealing to too small a listenership, not helped by poor radio reception on its initial 203.5 metre wavelength. The arrival of commercial television in 1955 adversely hit the BBC’s television and radio audiences and by 1957 the Corporation’s TV share was down to 28%. At Broadcasting House there was talk of making economies to help support the TV service, economies that included suggestions of merging the existing networks at certain times and reducing the evening schedule on one of the services. An internal memo to the then Director-General Sir Ian Jacob on the Future of Sound Broadcasting advocated that output should be less “heavily weighted in favour of the highly-educated and serious minded… and redirected to giving a much fairer representation to the great majority of people whose tastes are simpler and less intellectual”. For the Third Programme this meant a reduction in hours and the threat, one that didn’t transpire, of merging administration with the other networks. In fact it was noted that the loss of listeners to television was more marked for the Light Programme and that the Third’s audience had remained loyal. Announcing the changes in April 1957 Jacob told a press conference that the Third would be trimmed back to three hours a night and that a new service, Network Three, would occupy its wavelengths every night between 6 and 8 p.m. providing “many of the spoken word programmes that will be displaced from the Home and Light”. The advent of Independent Television has created competition in light entertainment; in an enlightened democracy it is now the special duty of a public corporation enjoying a monopoly under a Royal Charter to maintain a full and independent service of high quality in the field where this competition does not obtain. Such a service must not be sacrificed to the projected intensified effort to hold the majority audience. This is an issue which closely affects the interests of the listening public and the nation as a whole, and it vitally concerns the spiritual, cultural, and intellectual life of the community. The BBC’s response was to assert that three hours each evening was enough to “provide a first class Third Programme”. This assertion did little to dissuade a growing number of listeners who, fronted by former radio producer and, at the time, Cambridge don Peter Laslett, formed the ‘Third Programme Defence Society’ – possibly the first such anti-BBC protest group. The Society had some powerful allies: Ralph Vaughan Williams, Michael Tippett, Laurence Olivier and T.S. Elliot who accused the Corporation of pandering to “the more moronic elements in our society”. 6.15 The Younger Generation - a magazine covering music, literature, art. architecture, design, films, and the theatre. 6.45 For Collectors - a weekly talk by experts for amateur collectors (pictures. furniture, pottery etc) 7.00 Parents and Children - a weekly miscellany. 7.30-7.45 Starting Spanish - a weekly series on elementary Spanish. 6.45 Time at Home - a monthly rota of programmes dealing with amateur dramatics, bridge and a programme for animal lovers, amateur handyman, and food and wine. 7.15-7.45 The Archaeologist, Talking about Films, and Naturalists' Notebook - monthly features. 6.45 Christian Outlook - a weekly magazine of church news and views. 7.15-7.45 Anglo-Saxon England - a broadcast survey of life before the Conquest. Later on at this time J. B. Priestley will discuss The Dramatist's Craft; there will be a series on Problems of New Nations and programmes titled Everyone's Atomic Physics. 7.30-7.45 The French on the French - French "brains trust" recorded in Paris for people who already know some French but need help in listening to French conversation. 6.45 Science Survey - latest developments in the world of science. 7.00 In Your Garden - weekly programme for the more experienced gardener. 6.30 The World of Books -interviews with writers, library lists, readings from and special reviews of new books. 7.00-7.45 Record Review - new records, particularly long-playing, of serious music. The Radio Times for the week commencing 29 September 1957 heralded “the new pattern of sound broadcasting”. Director of Sound Broadcasting, Lindsay Wellington, explained how the Home Service would lose some variety shows and carry more serious music and that the Light Programme was to be “more consistent in providing the lighter fare that is wanted by so many”. The Third Programme’s hours would be shortened and Network Three introduced. Wellington elaborated on the reasons for the re-jig citing the changing tastes and habits of the audience identified from the BBC’s Audience Research. “Although perhaps the most obvious, television has not been the only factor affecting the radio audience; there have been many other changes in social habits going on since the war that have combined to change both people’s attitude to radio and the use they make of it”. Stressing the balancing act that they needed to perform he emphasised that the BBC was in any way lowering standards and not “fighting for a mass audience”. Recognising the competition from television he concluded that “we shall not count it a failure if people choose television rather than radio, any more than if they choose one of our sound programmes rather than another. We should only feel that we had failed if we did not give the public the service on sound radio which they want from us and which they are entitled to expect”. Network Three is a challenge issued by Sound Broadcasting – a challenge to all those who are sufficiently keen about their private interests to be prepared to turn a knob and find the programme that caters for them. I want to know a butcher paints. In Network Three we have taken a larger view than Browning did in his poem Shop about the possible interests of the butcher, the baker and the candlestick-maker. And we have good reason for this. For years past the Home Service and the Light Programme have regularly stepped aside from their main task of broadcasting to the general listener and addressed themselves to minorities who are enthusiastically devoted to some form of self-expression. Sound Broadcasting is acquiring a new look. This period of improving our service to every kind of listener has made it possible to offer on Network Three a larger variety of broadcasts designed for minorities. They may number millions. Because of the very nature of their interest or because it is only beginning to be popular, they may still be, as they would no doubt like to think themselves, a limited elite. For examples, gardeners grow like blackberries, but the number of climbers in Great Britain is still relatively small, though their increasing total inches its way up the statistical Everest each year. For both gardeners and climbers, as for other ‘interested bodies’ large and small, there will be something worth listening to on Network Three. Six evenings a week, on the Third Programme wavelength before the Third Programme is on the air, the jazz-fancier, or the pigeon-fancier, the man or woman who wants to learn, say, Spanish from scratch, the fisherman or cyclist or collector of L.P. records (perhaps the same person), the bridge player or the naturalist, the more sophisticated film-goer, the ardent motorist or the enthusiast for amateur dramatics will be able to find a programme, broadcast either weekly or monthly, with their special interests in mind. There will be regular periods, too, which will reflect the wide interest and many problems of parents and of the younger generation. 6.15 – 6.45 The Younger Generation: What’s Your Pleasure? A music magazine introduced by Tristram Cary. (This programme was dropped after a year). 6.45-7.00 For Collectors. Basil Taylor questions art dealer Sidney Sabin about buying “modest-priced pictures”. 7.00-7.30 Parents and Children. This edition included Memoirs of a Month-Old Father by Donald Milner and a discussion entitled Boy Meets Girl about “the relation between the sexes”. Presented by Robin Holmes. 7.30-8.00 Starting Spanish in which “Basil and Dorothy learn how to ask for rooms in Spain and how to avoid some of the more obvious mistakes of pronunciation”. The roles of Basil and Dorothy were played by Basil Jones and one Vanessa Redgrave. The teachers, George and Miguel, were Roger (“The Master”) Delgado and Angel Luna. The Radio Times printed a weekly set of vocabulary to accompany the series. There was then a 15 minute closedown before the Third Programme started for the evening. All this looks, and probably sounded, rather worthy and not a little dull but it did introduce the notion of groups of study programmes that would endure on Radio 3 until the 1970s and Radio 4 into the 1990s. Network Three did, however, feature three long-running programmes that far outlived the network. The Friday night “motoring magazine” turned out to be Motoringand the Motorist getting a national outing after transferring from the Midland’s Home Service where it had started in 1953. 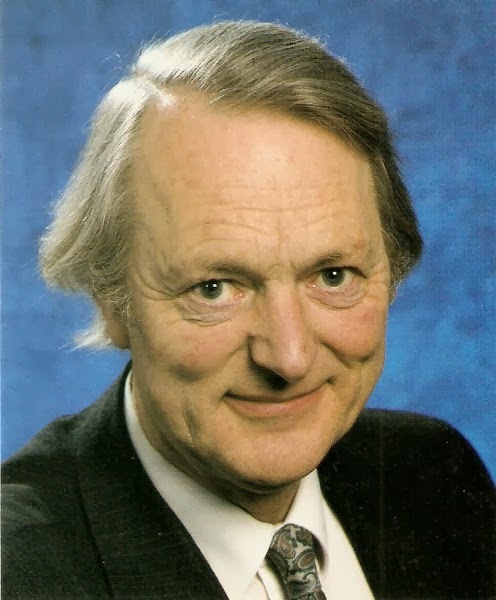 Bill Hartley continued to be associated with the programme until 1970 and the programme itself ended in 1977. When Network Three was planned, Anna Instone, Head of Gramophone Programmes, without my knowing, suggested a weekly review of new records and asked me if I would like to produce it and also introduce it (this saved money). I agreed and to begin with I was warned not to be too highbrow, in order to catch as wide a range of listeners as possible for Network Three. This is why we were announced as ‘a programme for all record enthusiasts’. Although at the time there were for fewer versions to compare, we had to take into account the rapidly increasing LP marker, calling for new studio equipment to add to the 78 rpm decks, and a little later came the important development of stereo. In the first Record Review on Saturday 5 October 1957 Trevor Harvey spoke on Building a Library (an aspect of the programme that still endures), and Martin Lubbock and Martin Cooper reviewed the new releases. John Lade stayed with the programme until 1981. And finally there was In Touch that first aired on Network Three on Sunday 8 October 1961 - by now the station had extended its hours to include Sunday afternoons. Billed as “a monthly magazine with up-to-date news of people, problems and pleasures of special interest to blind listeners”, it was introduced for the first 20 years by David Scott Blackhall. The show transferred to the Home Service in 1964 and remains a Radio 4 fixture under the stewardship of Peter White. Not that the Third Programme’s daytime frequencies were entirely silent. From the summer of 1957 they’d been used to carry ball-by-ball commentary on Test Match Special and from April 1961 the start of a Saturday afternoon Sports Service, initially a summer only broadcast but all-year round from April 1964. Alternate Saturday mornings also gave listeners to chance to line up their radio and TV speakers to hear the new Stereophony, more of which in a future post. Some of the programmes, especially those offering to teach a foreign language, marked as “a Listen and Learn Series”, would have accompanying notes in that week’s Radio Times: blocks of Russian script for those listening to the Russian by Interview series for example. 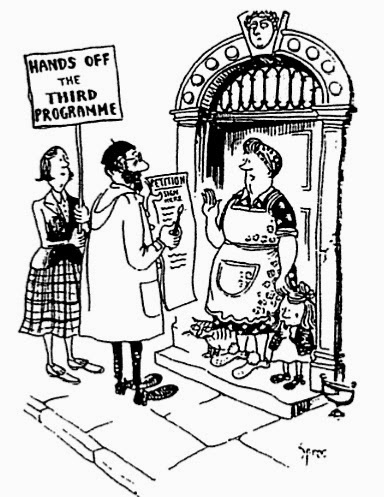 But soon specially produced pamphlets were offered – “an essential adjunct to the lessons” available through your newsagent or “direct by sending a crossed postal order for 4s to BBC Publications”. By the early 60s pronunciations discs could also be ordered for those wanting to practice French, German, Italian and Russian (all available in 1962). BBC Publications was, of course, already providing learning materials for schools (pupils’ pamphlets having been published since 1927) but there was a marked increase in what was produced to support the growing adult learning market. By 1962 Network Three was offering a music programmes at the weekend, if only for an hour or two, and For Schools during the week. Finally in November 1963 the title Network Three was quietly dropped in favour of Third Network with the old hobbies shows being bracketed together as Study Session. 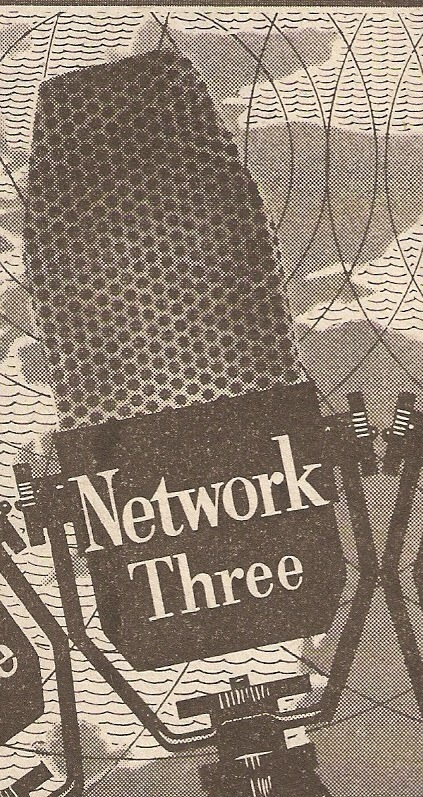 From 12 December 1964 the Third Network, by now the umbrella title for all the Third Programme’s daytime output, offered a daily Music Programme from 8 a.m. Saturday’s menu included Record Review and Jazz Record Requests, the first host being Humphrey Lyttelton, before the Sports Session kicked-off at 12.30 p.m. On Sunday the Music Programme included What’s New, Your Concert Choice and, shunted over from the Home Service, the long-running Music Magazine edited by husband and wife team Anna Instone and Julian Herbage together with another radio evergreen Antony Hopkins with Talking About Music. Weekday broadcasting was between 8 a.m. and 2 p.m. with a closedown until the start of the Study Session at 6.30 p.m. and the Third Programme proper at 7.30 p.m. Among the musical delights were some now familiar titles: the old Home Service programme This Week’s Composer (still running on Radio 3 as Composer of the Week), Your Midweek Choice and Midday Prom. The Music Programme’s weekday hours were extended to start at 7 a.m. and end at 6.30 p.m. from Monday 22 March 1965 to provide, in the words of programme planner John Manduell, “a comprehensive daily service to satisfy and delight all who enjoy music”. As for the Third Network it continued until September 1967 when the whole service became Radio 3, though the elements of Music, Study, Sports Service and Third Programme were retained until the next big shake-up in March 1970. What of Network Three’s legacy? Well the grouping of blocks of “educational” programmes that eventually formed the Study Session survived into the early 90s. Indeed when Study Session became Study on 3 in 1969 and then Lifelines in late 1975 they were all broadcast in the same 6.30 to 7.30 p.m. slot just as they had nearly 20 years earlier. Lifelines was themed each weeknight, so we had Home and Family on Monday, Work and Training on Tuesday followed by Language and Communication, The Wider World and finally Leisure and Recreation. It’s interesting to see how, in the early 1970s, listeners would have to switch between VHF and medium wave during the day depending on whether or not they wanted to hear the educational programmes. Added to the mix were the new Open University courses from January 1971 on both Radio 3 and Radio 4, whilst Radio 4 also had Study on 4 with repeats of some Study on 3 programmes. This complicated programme planning and necessitated the use of a separate Continuity studio. Some of the output, such as the language courses, were multimedia affairs with associated BBC TV programmes, books, records and cassettes – remember Ensemble or Kontakte? Perhaps you also recall the quarterly 4-page Look Listen Learn pullouts in the Radio Times. By October 1978 the study programmes had all shifted from Radio 3 to Radio 4 and the evening OU programmes followed a year later- the end of a dedicated education strand on the Third Programme/Radio 3. Meanwhile Study on 4 morphed into Options, at weekends only, from June 1985 and the whole lot – further education, schools and OU – was shunted across to the new network, Radio 5, with its ragbag mix of news, sport, education and music. By the time Radio 5 became Radio 5 Live in 1994 the remaining OU and further education programmes moved back to Radio 4, on long wave only every Sunday night. With the transition to CD-ROMs and online learning, as well as overnight on BBC2’s Learning Zone, the final radio foreign language courses aired on Radio 4, under the Languages Extra title, in February 1998 and the final OU programmes in September 1999. A little more detail about some of the programmes mentioned above. The Study Session continued when Radio 3 started in September 1967 but became known as Study on 3 from Monday 30 September 1969. 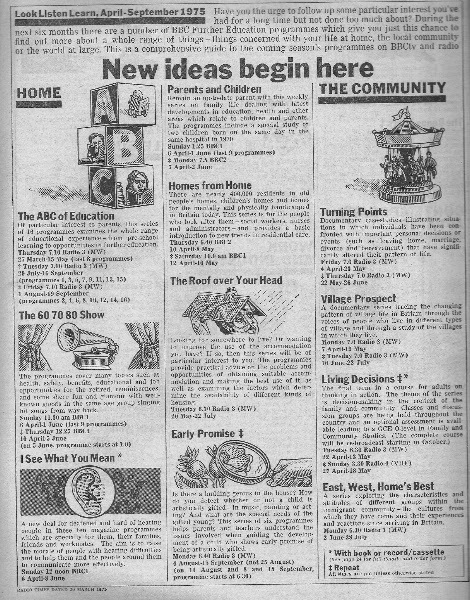 Study on 3 became Lifelines – the hour “devoted to useful, informative and instructional series” -from Monday 29 September 1975. Ahead of the wavelength changes the final Lifelines was on Friday 29 September 1978. “Listeners to language programmes are some of the BBC’s most regular and helpful correspondents. It is owing largely to their prodding that radio lessons have been steadily increased in length, and booklets in size. Students seems now to be satisfied with the lessons themselves, but many of them still find the hour before 7.30 in the evening an awkward time. It is hoped that the service starting this morning on the Home Service will meet their objections. All today’s courses concentrate on the spoken language and aim at giving the listener the confidence to use what he has learnt in everyday situations; to help him further, conversations from the Spanish and Italian programmes will also be available on disc”. The title of the Saturday morning sequence was changed to Study on 4 from 5 October 1968 and remained in use until 1985. 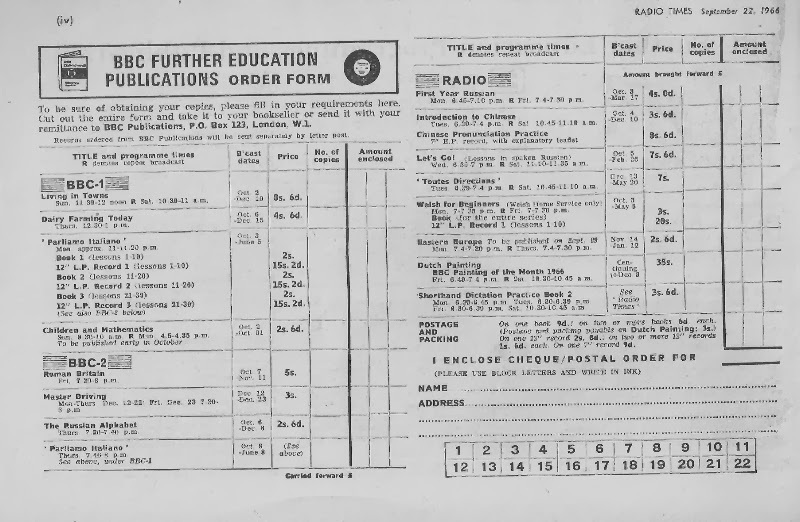 From October 1978, in anticipation of the wavelength changes in November, adult education programmes moved from Radio 3 MW to Radio 4 VHF under the Study on 4 banner. The hours were extended from one-and-a-half hours to four hours on Sunday afternoons with some weekday repeats between 11 and 11.30 p.m.
Study on 4 was re-branded Options from 29 June 1985 by which time it aired for a couple of hours on both Saturday and Sunday afternoons. Options itself ended when Radio 5 launched in August 1990. The first Open University programme on BBC Radio 3 VHF is variously reported as being Science-Introduction to the Foundation Course on Thursday 7 January 1971 or Arts Foundation Course 1 on Monday 11 January 1971. My research suggests the former is correct. The final set of programmes was broadcast on Radio 4 LW on Sunday 19 September 1999, though of course the OU continues to make co-productions for BBC radio such as the long-running Thinking Aloud and The Bottom Line. OU programmes continued in the same slot for a further 18 months (see above). Record Review started on 5 October 1957. John Lade’s last programme was the 1,000th edition on 24 October 1981. 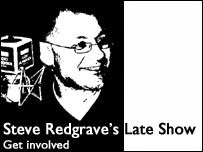 It became part of Saturday Review from 16 January 1988 and re-launched as CD Review with Andrew McGregor on 12 September 1998. Talking About Music ran between 26 September 1964 and 2 May 1989. Heard variously on the Home Service, Music Programme, Radio 3 and latterly Radio 4. Music Magazine started on the Home Service on Sunday 20 May 1944. The final edition aired on Radio 3 on Saturday 24 March 1973. This Week’s Composer launched on the Home Service on 2 August 1943. Its title changed to Composer of the Week on 18 January 1988. Do you have any copies of Study Session or Open University programmes. If so, please contact me. Marking the hour, every hour like, ahem, clockwork. The Greenwich Time Signal aka The Pips. Those little tones are ninety years old today. Happy bleeping birthday! The proposal for a time signal came from one Frank Hope-Jones in a radio talk in April 1923. Reith and the Astronomer Royal, Frank Dyson, agreed on the idea of broadcasting Greenwich Standard Time with a chronometer at the Royal Observatory tripping a switch at five seconds to the hour to create those iconic pips – using a 1kHz oscillator, for the technically minded. 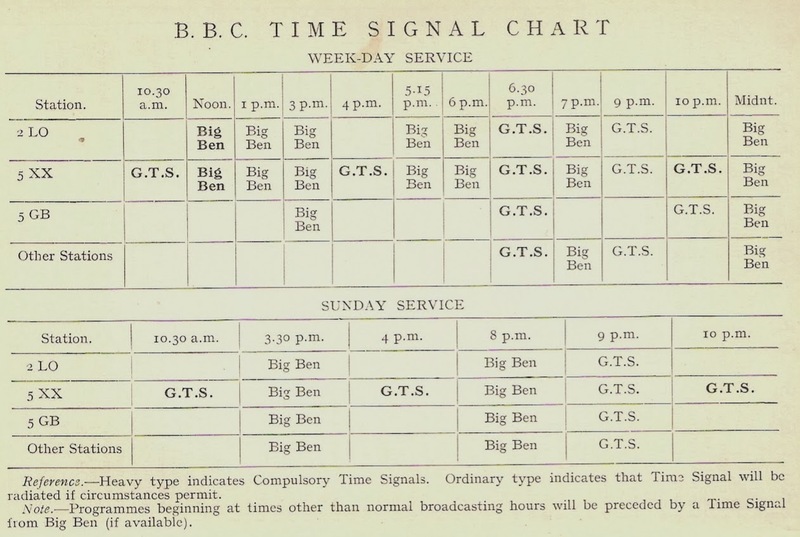 The time signal was first broadcast at 9.30 p.m. on 5 February 1924. Note that half-past the hour time signal, these days we normally associate them with marking the top of the hour. In fact the signal is generated at quarter past and quarter to the hour also, although this is rarely (ever?) broadcast. They often provided a neat programme junction, such as the 7.30 p.m. pips you’d hear when Radio 2’s VHF signal was returned to the station after having being ‘borrowed’ by Radio 1 on a Saturday afternoons in the 70s and 80s. RGO and Duncan Thomas, Director of Resources (Radio) for the BBC. In February 1990 responsibility for generating the pips was taken over by the BBC, the equipment stored in the bowels of Broadcasting House. They’ve not been without incident: they started to come adrift by a few seconds in 2008 and in 2011 they packed in all together. Computer problems were blamed. So here’s my ‘pips soundscape’ to commemorate those ninety years of time-keeping. You’ll hear the voices of Mr Hope-Jones, Peter Jones, Sandi Toksvig, Barry Cryer, Terry Wogan, Jan Ravens, Eddie Mair and Keith Skues. The music includes Handel’s Clock Symphony, Delia Derbyshire’s Time To Go, David Lowe’s themes for BBC News and part of Damon Albarn’s Radio Reunited. 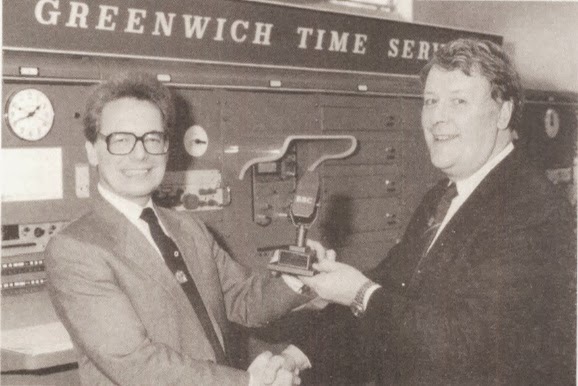 You can follow the Greenwich Time Signal on Twitter @BBC_GTS where you’ll find it sulking in the basement and berating the continuity announcers. 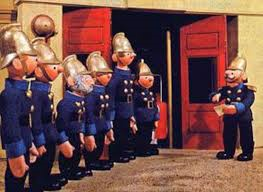 In the first part of Trumpton Riots Brian Cant remembered the worlds of Noggin the Nog, Jones the Steam and the Soup Dragon. Due to popular demand, well two requests, here’s the rest of this five-part series first heard on BBC Radio 4 at Christmas 1993. In Today is Saturday Caron Keating recalls the chaos that was Saturday morning TV on TISWAS. There are reminiscences from Chris Tarrant, Lenny Henry, Sally James and Bob Carolgees. The identity of the Phantom Flan Flinger is not revealed but there is a chance to sing-a-long with The Bucket of Water Song and a unique rendition of Bright Eyes. Through the Arched Window revisits Play School. Maggie Philbin hears from former presenters Brian Cant, Johnny Ball, Julie Stevens, Chloe Ashcroft and Fred Harris. We find out about the theft of Big Ted, why there was a reserve Hamble and why we rarely went through the arched window. Programme four asks Val or Sue, John or Tommy? as Sally James she goes back to the days of Blue Peter and Magpie. There are contributions from Peter Purves, John Noakes, Biddy Baxter, Tommy Boyd, Mick Robertson and Susan Stranks. The history of Magpie is somewhat misrepresented, totally overlooking the first presenters Tony Bastable and Pete Brady and there’s no mention of Douglas Rae who joined in August 1971. In the final programme Fred Harris visits the world of Pugwash, Windy and Barney McGrew. Fred talks to voice of Bill and Ben and Pugwash Peter Hawkins, Mr Benn creator David McKee, animator of Captain Pugwash John Ryan, Michael Cole who came up with Fingerbobs and creator of Trumpton and Camberwick Green Gordon Murray. Hear about the real Festing Road, why Rick Jones was Yoffy and the sad fate of the Trumpton puppets.